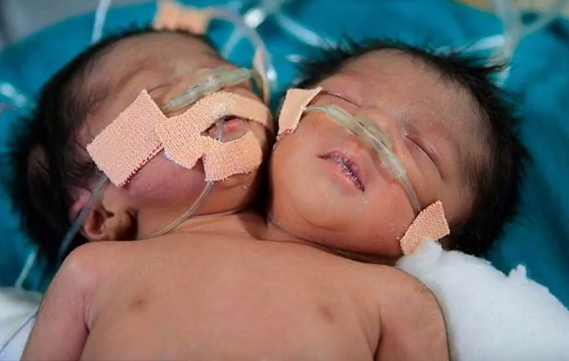 A Bangladeshi mother has given birth to conjoined twins – with two heads but one body. The baby was born on Wednesday, November 11, in Dhaka, Bangladesh by Caesarean section and is currently receiving post-natal care at the government hospital. A doctor at the Standard Hospital of Total Healthcare where the baby was born, Abu Kawsar said that tests showed the baby has only one set of vital body organs but two heads. 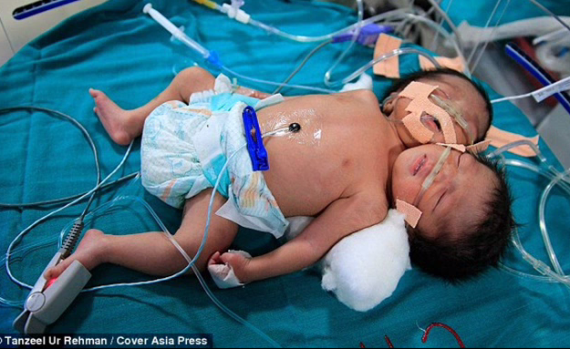 “Except for having two heads, the newborn has the rest of her organs and limbs like a normal newborn.” he said. The baby’s condition could thus be an example of the very rare congenital condition calleddicephalic parapagus where the baby is born with two heads but only one body. 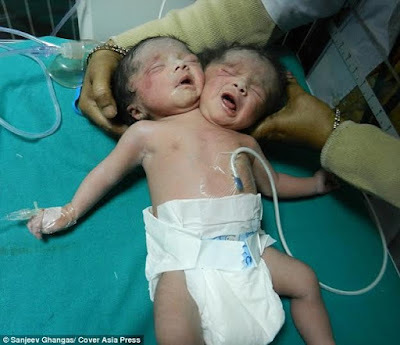 Although, people often think of a baby with the condition as a single person with two heads, the baby is actually a set of twins who share the same body and vital organs. The baby’s father Mia Jamal, a farm labourer said he is happy mother and child are OK. “She has two fully developed heads. She is eating with two mouths and breathing with two noses. Still, I thank Allah that she and the mother are now OK,’ he told the news agency AFP.